Over the weekend I did some beading with my Mom. I NEVER do beading, but my Mom had started making these peyote stitch bracelets and she showed me how to do it. Once you start going it's kind of addictive, they take several hours to make but I didn't even notice the time passing. My bracelet turned out pretty crazy. 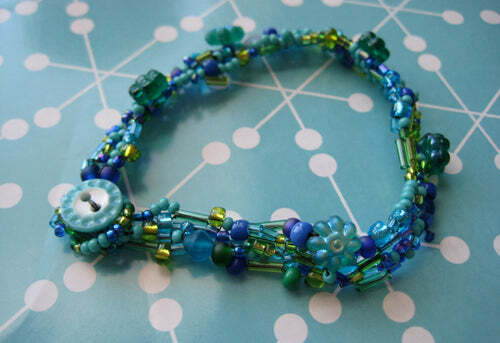 I looked up the peyote stitch on the internet and most of the bracelets are pretty organized. The ones my Mom made have little sections of one type of bead, and they look very elegant. 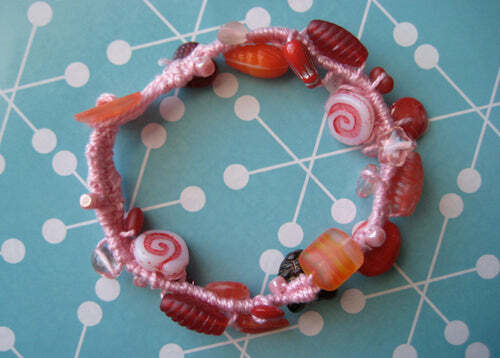 The next bracelet I made is a favorite style of mine that I have made before, but it had been several years. It's a little easier and faster to make than the other style. 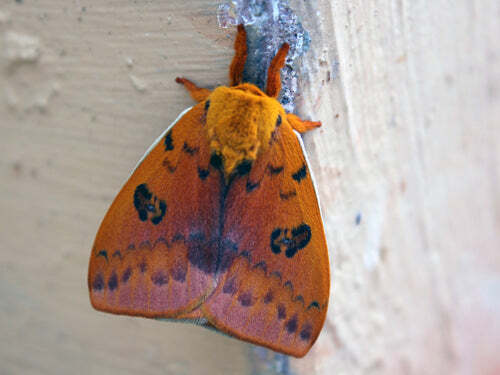 Bonus, while I was at my parents for beading I saw a gorgeous Io Moth that has been hanging out by their front door.